Cybex Free Weights adjustable -10° to 80° bench comes with a back pad that can be set in eight positions (from -10 to 80 degrees) to help you to perform challenging and effective workouts for your upper body.The bench is supplied with three-position adjustable seat pad (from 0 to 20 degrees), wheels and a handle that can be also used as footrest. The Cybex Free Weights adjustable -10° to 80° bench is the highest quality piece of gym equipment that guarantees superior stability, comfort and durability that are highly sought for by gym enthusiasts. 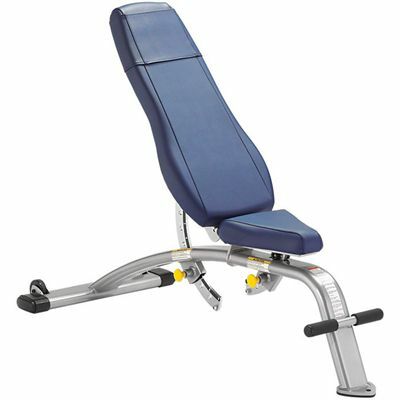 for submitting product review about Cybex Free Weights Adjustable -10° to 80° Bench.